Should Michigan pass a ‘textalyzer’ law? Should Michigan pass a “textalyzer” law, much like the one being considered by the New York Legislature? And as an auto accident attorney, I believe such a law is long overdue. Why do I feel so strongly that such a law is needed? I know that a great number of my clients are being injured by people who are texting and driving. The numbers of motor vehicle accidents being caused by people driving distracted, and especially by people who are texting while driving is staggering. But Michigan law enforcement rarely check to see if a driver who causes a car accident was texting. In fact, unless a fatality or catastrophic injury results, it’s almost certain that a police officer investigating a car accident will NOT check to see if the driver that causes the crash was texting. So people keep texting. And people keep causing crashes because they’re driving distracted. Limit the electronic cell phone scan to only determining whether the driver was “using” his or her cellphone “at or near the time of [the] accident or collision” – not the “content” of any communications. Implement an “implied consent” law – similar to the one that applies to drunk drivers – which provides that a driver who has been involved in an accident or collision is “deemed to have given consent” to the police to conduct an electronic scan of his or her cell phone. This New York bill should be embraced by Michigan lawmakers. 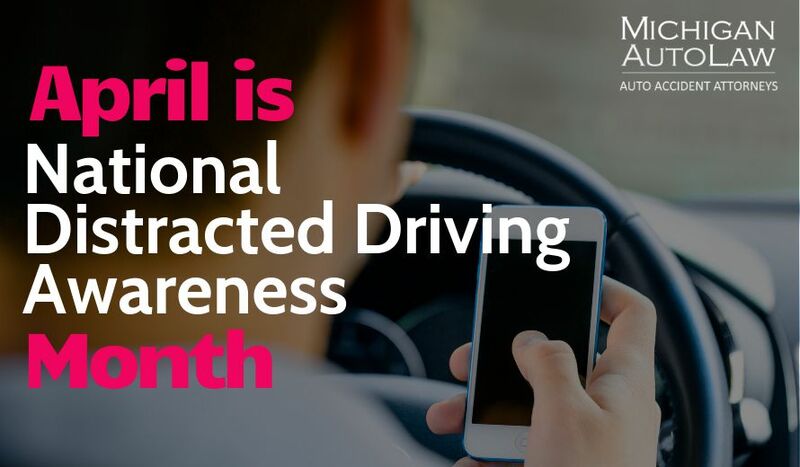 Texting while driving – and all of the very preventable automobile accidents that result – have now reached epidemic proportions. But can civil liberties be preserved while public safety is protected through a texting law? It appears the technology is available to allow police to perform an electronic scan to determine whether a text was being sent or received at or near the time of a crash. I have to admit, my knowledge of how this is done is very incomplete. I have no first-hand knowledge and everything I have heard so far has come from accident reconstruction experts at legal seminars. But if this is true, it appears to protect the privacy rights of people and allows a police officer investigating a car accident to see if a driver was texting without having to allow the police to invade that driver’s privacy or read his or her text messages. If so, this is the obvious solution. It is one that seems to protect the public best but also preserve privacy rights. But, for sake of argument, let’s assume the technology did not exist and a police officer would have to inspect the cell phone of a driver who just rear-ended someone. Should we allow this? I’d come down on the side allowing the police to inspect the cell phone. Texting is just as dangerous to the public today as drunk driving. In fact, because the dangers are so similar to the public and everyone on our roads, texting while driving (and distracted driving) should be treated the same as drunk driving by police today when investigating car accidents. I said “implied consent” law. It only makes sense that suspected texting drivers (like suspected drunk drivers) should, by virtue of exercising their privilege to drive – and it is a privilege on public roads to operate a dangerous piece of machinery – be deemed to have given their “implied consent” to roadside testing. In other words, inspection of their cell phones for texting, by the police after they’ve just caused a crash and injured or killed someone. This is essential if Michigan has any real hope of saving lives and making our roads more safe. It’s also the only way to put some teeth on our ban on texting while driving. Although Michigan has yet to take this next – and necessary – step, I’m optimistic that may change change in light of the proactive, safety-oriented proposals being proposed by the New York Legislature’s “textalyzer” bill. To address the issue of a person’s constitutional right to be free from unreasonable searches and seizures, the New York “textalzyer” bill invokes the concept of “implied consent” which is used in states around the country – including Michigan (MCL 257.625c(1)) – to require motorists who are suspected of drunk or drugged driving to submit to chemical tests of their to breath, blood and/or urine. Research has shown that texting while driving – and even using a cellphone while driving – creates a crash risk similar to that of drunk driving.